Percocet and Vicodin belong to the same group of medications known as narcotic drugs which are used to treat mild to moderate pain. Both of these medications are controlled substances and there are special laws and regulations regarding their use. 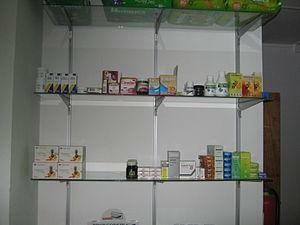 However, although these drugs have been used to treat similar conditions, they do not contain the same ingredients. Percocet contains oxycodone hydrochloride and acetaminophen, while Vicodin contains hydrocodone bitartrate and acetaminophen. So, both drugs contain acetaminophen, which decreases high temperature and acts as pain killer. Oxycodone hydrochloride and hydrocodone bitartrate act similarly, affecting cough and decreasing pain. Percocet can be used 6, 8 or 12 times per day, depending on the amount of active substances in the pills. Pills containing 2.5/325 or 5/325mg are used 12 times a day, while 7.5/325 and 7.5/500mg pills should be used 8 times every day. If someone has been prescribed with 10/325 or 10/650mg of Percocet he/she can use 6 tablets of this medication per day. One tablet of Vicodin of 5/500mg, 7.5/750mg or 10/660mg can be used every 4 to 6 hours. People usually weigh pros and cons of these drugs trying to decide which tablets are stronger. Most patients say that Percocet is slightly stronger and can relive greater pain comparing to Vicodin, probably because its effects last somewhat longer than effects of Vicodin. Both of these drugs, Percocet and Vicodin have similar side effects, but Percocet is more associated with unwanted effects. People prescribed with Percocet may complain about uneasiness, nausea and vomiting in some cases. Some patients experience drowsiness, dizziness or lightheadedness or itching of various parts of the body. Vicodin may also provoke nausea, vomiting and drowsiness, dizziness or lightheadedness, but some patients have also reported constipation due to the use of this drug. People using these drugs should be informed about withdrawal effects of both, Percocet and Vicodin. Abrupt discontinuation of any narcotic drugs (including these two) may provoke serious withdrawal effects. Consult your doctor prior to treatment about this matter. Patients suffering from problems with functioning of the liver, lungs, kidneys or under-active thyroid gland should inform their doctor about their health problems in order to avoid serious complications. The same precaution measures should be applied to people suffering from asthma, hypotension, allergies, stomach pain, enlarged prostate or Addison’s disease. Head injuries must also be reported to your doctor, for these may also complicate the use of Percocet or Vicodin and cause medical problems or even lethal consequences. lyrica pregabalin generic neuropathy treatment tablets.